Today, we are finally back with another roundtable discussing a classic year in hip hop. This time we are talking classic albums from 1998, and we have Blackstar vs Aquemini here as our selections. We gathered the team and a few new names to assist us with this. Let's get started. Both Aquemini and BlackStar are dope albums. Mos and Talib were on fire with that album and Mos' version of Children's Story is my favorite track on the album, but for me, I gotta take Aquemini. This was the album that made me an OutKast fan. I literally grew up to that album. My uncle would take me and my cousins out after school and that album was playing every time. I knew the words to Rosa Parks before I even knew what most of the words in the song meant. As I got older and could appreciate the album more, the title track became my favorite song on it. Smooth beat and the last half of the song, Andre took the hell off. Aquemini for me. 1998 gave us two amazing pieces of work. Outkast and BlackStar are two duos who really shifted the vibration of a culture when it came to music and thought. Both these albums captivated us with their raw lyricism and creativity. Let's take em one at a time. Aquemini really opened my eyes to the south! The stereotype as a South Bronx born and raised hip hop fan was the the South can't spit, they're all about booty clapping and uncle Luke. Boy, did Outkast prove me and the hip hop world wrong. The chemistry between Andre and Big Boi fit in like the missing puzzle pieces in hip hop and song after song, I couldn't skip any. When I listen to Blackstar, it gave me that technical lyrical back to back hyena flow you look for in a New York Album. It truly defined what Indie Hip Hop was at the time, and Talib and Mos both had slots in my top ten then. I mean, any debate we had about hip hop included them. It was bars, politics and culture wrapped up with the classic transitions we all loved in the 90s. If I had to pick one the boom bap Bronx kid in me would think to pick Blackstar, but the musician and artist in me leans all the way South with Aquemini. While both albums were phenomenal works, Aquemini takes the cake for me! Some albums you gotta be in a certain mood to listen to. Aquemini I can listen to in Any mood! Any day! BlackStar was the album that made me proud to be black. Never felt prouder than when I heard Talib Kweli say on K.O.S , "You put the hue in human". I grew up in the south, so radio wasn't playing a lot of east coast hip hop. I would read my cousin's Source magazine to try to keep up on game, then try to find it on Napster(laughs). I heard a lot about "The Underground" and NY Monsters like Big L, Mos, and the like. However, I never really got to hear them. BlackStar came out and it was such a different sound than I'd heard before. It will always carry a special place with me because it was the first time I could fully digest and enjoy Mos Def and Kweli, and the first time I fully embraced the power and grace of being black. However, Aquemini was the album that really made me appreciate home. It really made me proud to grow up in Atlanta. WE now had a voice. A solid one. Not just the So So Def stuff Jermaine Dupri would bring in. But really some homegrown churned out legit heavyweight contenders from MY city, a realm generally dominated by New York. It was Outkast's third album and not that it took that long for me to appreciate, but it let me know they weren't going anywhere. The album was beautifully crafted. You can't listen to it from the first track and not listen for at least the next 20 min. That would take you through "Return of The G", (an original trap classic) to "Rosa Parks", to "Skew it on the Bar-B" (with a visit from Shoalin) to "Aquemini", the title track. Which one of those songs are you skipping? It was heat after heat after heat. The album had its pro black gems, but beyond a comfort in my skin, Aquemini made me comfortable with where I rested my head. Not being a homer, this is completely unbiased. But when if I was going into Amoeba Music in Los Angeles with only enough for one vinyl, and forced to choose between the two, I'm going with Aquemini 10 times outta 10. Aquemini. 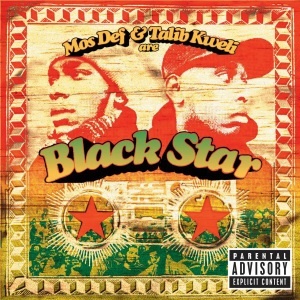 This is not to say that the Blackstar album wasn't a dope one, because who doesn't like Mos Def and Talib Kweli, however Outkast was one of the first groups to totally captivate me at a young age. 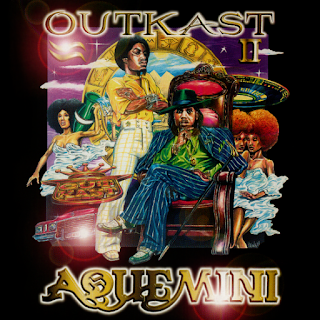 Maybe I have a bias because I'm a Gemini myself, but the Aquemini album connected with me even in my adolescent years, and over a period of time continued to impress me as I got older and could truly comprehend the content on the album. Songs Iike "Rosa Parks", "Da Art Of Story Telling Pt 1", "Aquemini", "Skew It On The Bar-B" and a host of others truly drew me into Outkast in the first place. The contrast between Andre and Big Boi was clear but how they complimented each other always was their strong point, and their chemistry on the album was impeccable. Their ability to create conscious content and embed it in enjoyable music was always a reason I loved the duo, and this album was a true testament to that and definitely cemented their legacy. Really interesting comparison here with probably the most acclaimed and accomplished duo in Hip Hop, to a duo that could have held similar titles had they made more than one album together. Regardless, that one Blackstar album is one of the greatest bodies of work ever introduced to the genre. Mos Def and Talib Kweli are two of the greatest lyricists in the game, but never dropped a solo project that could outshine their debut together. Aquemini is a strong album to compare it to, which to me is Outkasts best project to date. Big Boi's storytelling and flow along with Andre's lyrical imagery and unorthodox style meshed together to create a smooth southern classic. Aquemini is an album I can just lay back to and play front to back. The title track, along with "Return Of The G" might be my favorite cuts, along with the "Art of Storytelling Pt. 2", which hit me hard because it didn't sound like anything else I had ever heard in Hip Hop. While Blackstar was more focused on sticking to the genre's roots and perhaps less innovative, I have to say it's the overall better album to me. "RE:Definition" is one of the best tracks in Hip Hop ever, period. I get chills whenever that beat drops from Hi-Tek, one of the most criminally underrated producers in the game. Along with incredible lyrical displays like "Hater Playas" and Mos Def's hilarious cover of "Children's Story", where he tells the tale of a wack rapper making a hit, that whole album is perfect. Both projects can be in top 10 GOAT album arguments, but my ballot is cast for Talib and Mos in this one. Nothing but a classic comes to mind when I hear this,and choosing between these two is really hard for me because they're both some of my personal favorites. With the Blackstar album, there's no filler, besides two tracks but even the filler is great. It may not be as full of raw emotion as other rap classics, but deserves a spot as one of the classics. Mos Def and Talib give us one of the best collaboration albums of all time, along with top notch rhyming from both parties when they were just starting to come up. On the other hand, Aquemini is probably my favorite outkast album of all time. Personally I'm going to have to choose Aquemini. Some say Aquemini was the beginning of the end for Outkast, but it's still great nonetheless. Lyrically every song has something to offer, and being from the south, this album got endless plays and still gets endless plays to this day for me. It still sounds fresh as if it just came out, and each song has a lot of thought and effort put into it. There's nothing like this album in rap history and probably won't be. I'm going to have to go with Aquemini over Blackstar. I love both albums almost equally. The lyrical dexterity and complex wordplay displayed in the music of Mos and Talib is almost unmatched in hip hop, but the creativity and diverse subject matter from Outkast is also unmatched. Big Boi and Andre hold the title for creating my all time favorite album with ATLiens, but Aquemini is right there in my top ten albums as well. Blackstar is also in my top 10-15 all time albums and I barely skip any song on that album, except one or two. Both are concise, solid, and beautiful pieces of art, but if I had to choose, I would slightly edge it to Aquemini. This was probably the toughest choice out of all the roundtables we have done thus far, but I will say Aquemini. What's your pick? Tell us in the comments below.